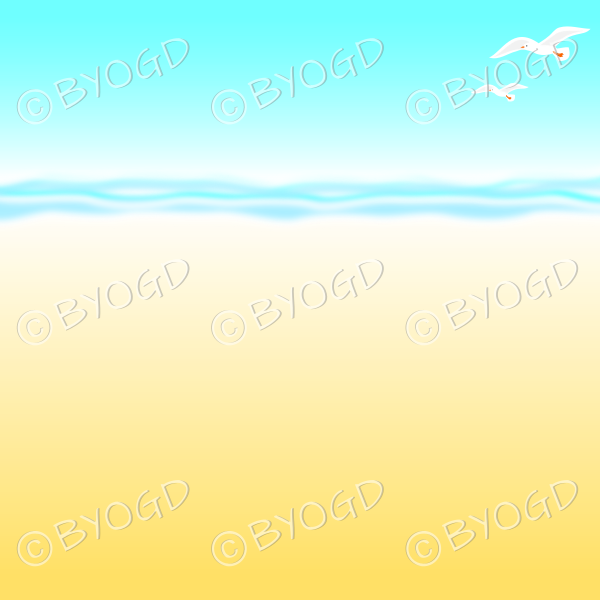 Yellow and light blue sandy beach background with seagulls flying. Say goodbye to boring backgrounds! Perfect to use as a base to add other BeYourOwnGraphicDesigner images.